King Salman Humanitarian Aid and Relief Center (KSrelief) distributed yesterday shelter materials in Khab, Sha'af and Yatimah directorates, Al-Jawf governorate, Yemen, including 12 tents, 720 blankets and 240 rugs, benefiting 720 people. 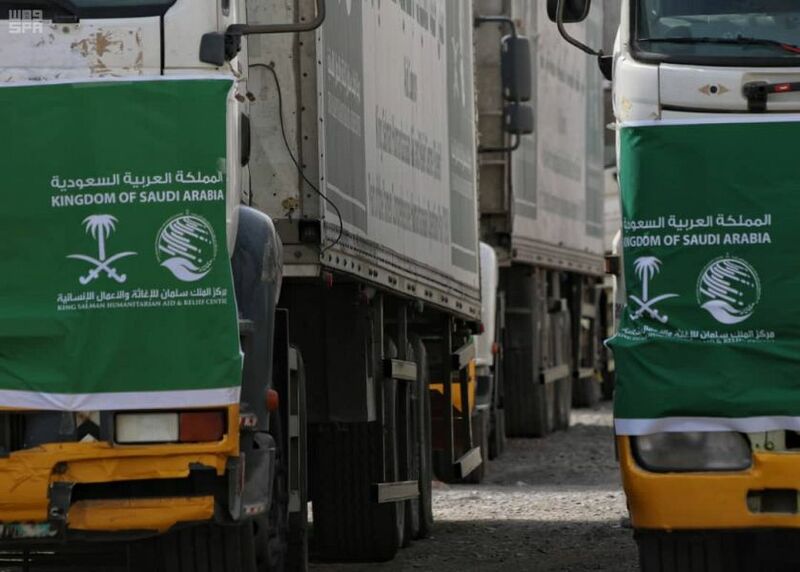 (KSrelief) also sent 14 relief trucks through Al-Wadiah Border Crossing Point to Taiz Governorate, Yemen, laden with 244 tons and 500 Kgs of medical supplies and medicines. This aid comes within the framework of relief and humanitarian projects being provided by the Center in all Yemeni regions without exception.